The holiday season is closer than you think, and if your brand wants to successfully cut through the noise in your customers’ inboxes and social feeds, you need start planning an approach that is as personal as it is dynamic. This means taking the time to get to know your customers and refining both targeting and messaging well before the holidays begin. 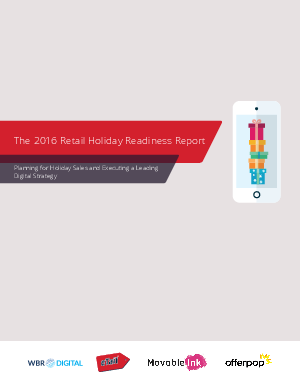 This report analyzes results gathered from responses to our holiday digital benchmarking survey, and offers insight and recommendations to help brands execute a leading digital strategy this holiday season.